Karina's Kreations: Stampin'Up Birthday Cheer Card! The new Occasions catalog starts January 3 and this is one of the stamp sets you can buy. 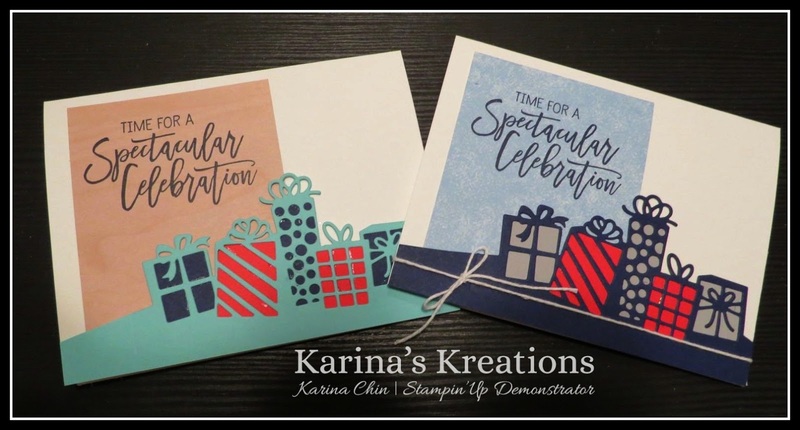 The stamp set is called Birthday Cheer and it coordinates with the Detailed Birthday Edgelits Dies. I used pieces of scrap paper to layer behind the birthday dies. Which color combination do you like better? Night of Navy or Costal Cabana?